Double rack with three (3) SHURflo syrup pumps and secondary regulator for holding BIB syrup boxes. 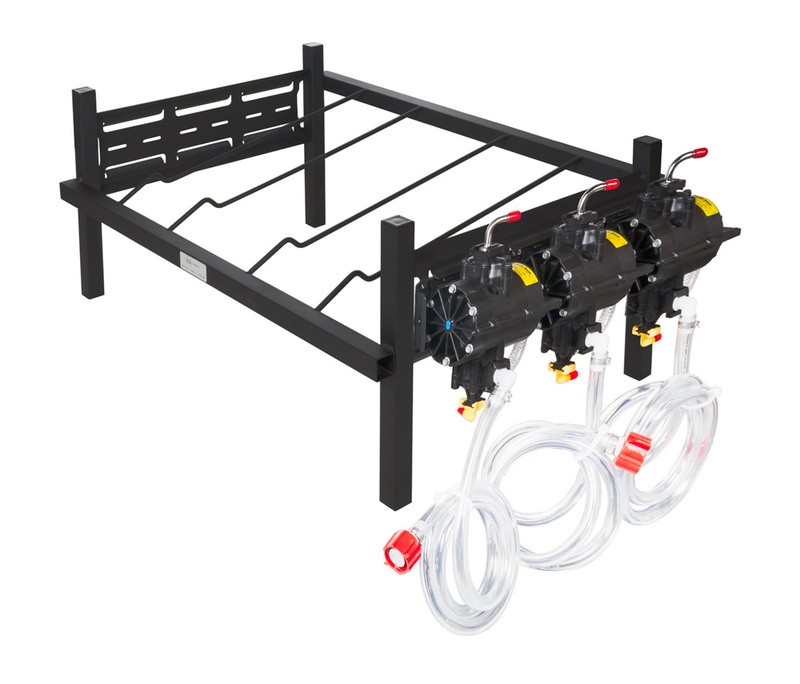 Stackable with slotted holes on the side for easy pump mounting. Some assembly required.